Our hostel room was a mixed dorm...when we arrived, there were already people asleep. One snored and passed gas LOUDLY all night long...miserable. 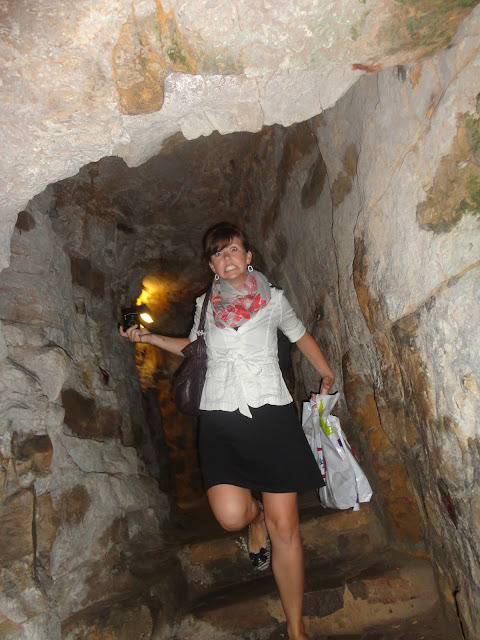 The casemates are an underground tunnel system built into the city's walls for easier defense. They go on for kilometers, and have little peepholes out the sides for shooting/arrows/whatever. In order to go up or down through the levels, your forced to traverse incredibly narrow, steep, and slippery spiral stairs, and hope you don't break your neck. Technically, Luxembourg was the last major stop on our trip, but there were a few in between places that we explored for an hour or two on our way to other larger cities. I'll post those photos next week!